The conflicts in Korea and Vietnam from 1950 to 1975 continue to impact the United States. 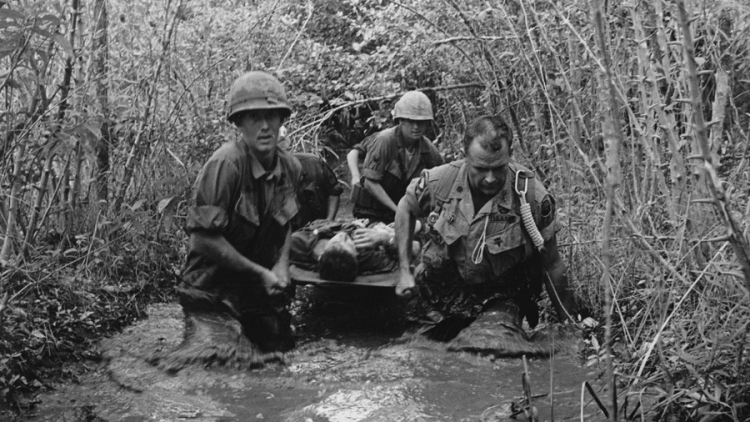 The year 2018 marks the 65th year since the Korean War ended in stalemate and the 50th year since the Tet Offensive revealed the futility of the Vietnam War. The 50th annual Dakota Conference examined how the twenty-five years of war in Asia, following World War II, continue to influence the lives of those who live in the Northern Plains (the Dakotas, Minnesota, Iowa, Nebraska, Wyoming, and Montana). Veterans of these wars, including Native American veterans from the Plains states, were especially encouraged to consider presenting on their service, but also those whose lives were impacted indirectly by the wars. Papers about life in the Plains states during these years were welcome, along with papers about Korea and Vietnam today. Scholars whose specialty is the twentieth-century Great or Northern Plains were also sought for their contextual knowledge of the conflicts. a global and non-sectarian observance of spiritual renewal. Religious practices evolve over time, but Native Americans have had to struggle to maintain their spiritual traditions since early contact. Great Plains historian Douglas Hurt observes that religious preferences among Euroamericans in the Plains were formed as much by ethnicity as by theology. Immigrant settlement brought such mainline religions as Protestantism, Catholicism, and Judaism. The Mormon Pioneer Trail passed directly through Nebraska, and Mormonism is practiced throughout the Plains. German-American communal people known as Hutterites maintain several colonies in the region. Varying degrees of spiritual emphasis, such as fundamentalism, evangelicalism, utopianism, pietism, and dispensationalism, have further molded the cultural life of the Plains. The steady decline of white Protestant Christians and increasing numbers of religiously unaffiliated Americans are trends visible in the Plains, as is the growth of Islam, Hinduism, and Buddhism. What are the implications of these changes for the region? 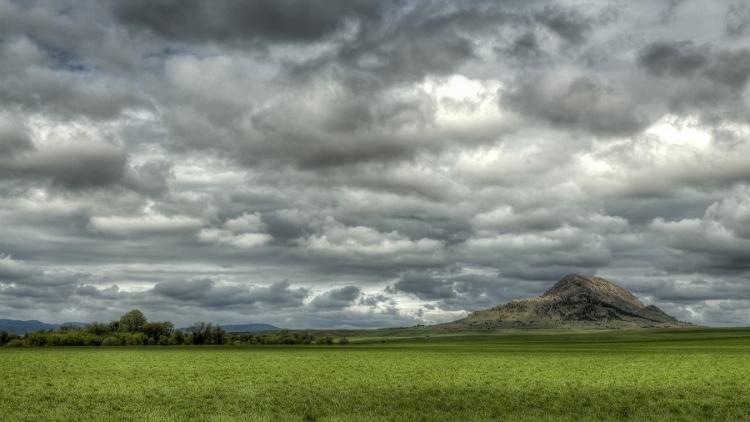 What do the calls for "religious freedom" nationally mean for the Northern Plains? In observance of the 75th anniversary (1941-2016) of America's entrance into World War II, the 48th annual Dakota Conference examined the impact of the war, in all of its manifestations, on the Northern Plains region, specifically South Dakota and the contiguous states of North Dakota, Minnesota, Iowa, Nebraska, Wyoming, and Montana. Presentations on the contributions of people from the Northern Plains, including Native Americans, were also encouraged. R. Douglas Hurt, author of The Great Plains during World War II and professor and head of the Department of History at Purdue University, was the keynote speaker. In conjunction with this conference, the Center for Western Studies also commissioned South Dakota State University Emeritus Professor of History John E. Miller to conduct interviews with war veterans. The interviews and associated materials—letters, photos, etc.—will be deposited in the CWS archives. Dr. Miller presented his research results at the conference. 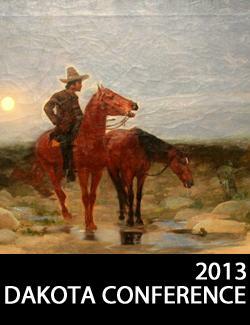 For its 47th annual event, April 24-25, 2015, the Dakota Conference took as its theme "Where the West Begins?" with the intention of exploring the geography, identity, and promise of the Dakotas and the prairie-plains areas of Minnesota, Iowa, Nebraska, Wyoming and Montana. 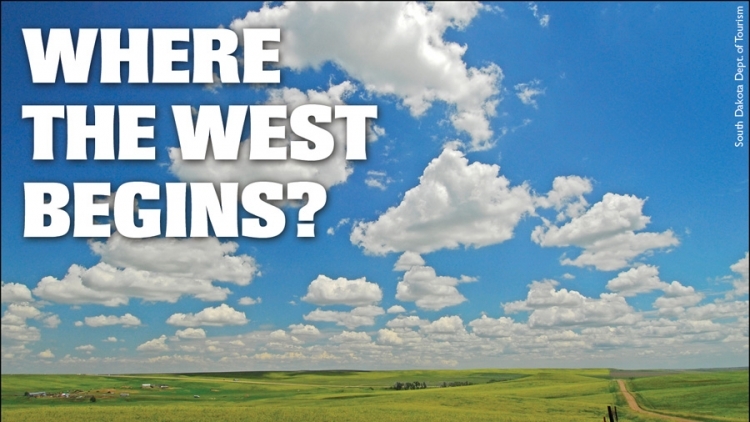 Are the Northern Plains where the Midwest ends and the West begins? What geographical and demographic characteristics help us identify the region? In what ways are the Northern Plains changing? Do these changes bode well or ill for the region and its traditional and new inhabitants? For the 47th annual Dakota Conference, the Center for Western Studies sought papers and panels that addressed these questions of regional identity. Papers on additional humanities-related topics connected to the Northern Plains were also presented. 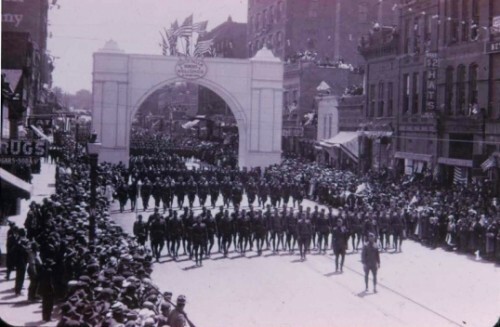 With the international centennial of World War I approaching in August 2014, the Center for Western Studies observed this momentous event by dedicating the 2014 Dakota Conference to the theme of The Great War and the Northern Plains. Although the United States did not officially enter the war until 1917, Americans across the country felt the impact of the war long before engagement, none more so than those of German descent, especially the Mennonites and Hutterites living in the Plains, who were often viewed as sympathizers with the Kaiser’s Germany. For other farmers, the Great War brought affluence as the price of crops and agricultural land soared. The advent of the tractor at this time, replacing draft animals, contributed to an economic boom during and after the war. Plowing up the plains and over-mortgaging by many farmers, combined with extended drought years and the Great Depression, resulted in the Dust Bowl of the 1930s. World War I and its immediate aftermath changed the people of the Plains and their values in many ways. For the 46th annual Dakota Conference, the Center for Western Studies sought papers and panels that addressed World War I or life on the Plains during the years 1910-1920. Additional papers on other humanities-related topics connected to the Northern Plains were also presented. Searching for the fabled cities of gold, Coronado in the 1540s pushed as far north into the Great Plains as central Kansas. Two hundred years later, Villasur reached the Platte River in central Nebraska, where his party was attacked and defeated by Otoes and Pawnees. Spanish fur trader Manuel Lisa worked the upper regions of the Missouri River in the early 1800s. At its zenith in 1795, New Spain constituted most of the American West. Today, large Hispanic/Latino populations live in the Northern Plains, especially in Nebraska, Iowa, Minnesota, and Colorado. In metropolitan Sioux Falls (pop. 250,000), for example, the Hispanic/Latino population was the largest minority in 2013. For the 45th annual Dakota Conference, the Center for Western Studies sought papers on all aspects of Spanish exploration of and Hispanic/Latino immigration to the Northern Plains. Papers and sessions on all aspects of the Northern Plains were also welcome. Speakers who addressed the topic of “The Spanish Northern Plains” included Juan Bonilla, President of LaVoz Hispana TV and Chair of the Sioux Falls Diversity Council; Derek Everett of Metropolitan State University of Denver; Pablo Rangel, University of Nebraska-Lincoln; Juan Gonzalez, Northern State University; and Michael Olson, author of books about the Santa Fe Trail. For the 44th annual Dakota Conference, the Center for Western Studies observed the upcoming fortieth anniversary of the occupation of Wounded Knee, South Dakota. We did so in the larger context of the massacre at Wounded Knee by the US Seventh Cavalry on December 29, 1890. On that date, Miniconjou Lakota chief Spotted Elk (Big Foot), over 300 of his Ghost Dance followers, and 38 Hunkpapas were attacked at their encampment on the banks of Wounded Knee Creek on the Pine Ridge Reservation. Of the 230 Indian women and children and 120 men at the camp, at least 153 were counted dead and 44 wounded. Army casualties were 25 dead and 39 wounded. Eighty-three years later, on February 27, 1973, 200 Oglala Lakota and American Indian Movement (AIM) supporters seized and occupied the village of Wounded Knee for 71 days in protest of a recent murder and long-held grievances against the BIA. They demanded an end to intimidation of AIM members and "traditionals" on the reservation. They demanded that treaties signed by the U.S. government be honored, especially the 1868 Fort Laramie Treaty, which acknowledged Sioux claims to the Black Hills. The village was quickly surrounded by law-enforcement officials, and a siege ensued. Before it ended on May 5, the armed conflict claimed the lives of two AIM supporters. An FBI agent and a US Marshall were wounded, and 1,200 people were arrested. Through the free and open exchange among all conference attendees, the 2012 Dakota Conference considered the legacy of the occupation and the earlier massacre. For the 43rd annual Dakota Conference, the Center for Western Studies participated in the national observance of the Civil War, one of the most momentous events in American history – and one that had profound implications for our region. A principal goal of The Civil War & the Northern Plains was to explore how this largely eastern conflict impacted the northern Great Plains. When war broke out between the states in April 1861, Minnesota was celebrating its third year of statehood, Sioux Falls was a bustling commercial center, and the northern Great Plains had already been surveyed for a transcontinental railroad. By the fall of the following year, in no small measure because of distractions caused by the war in the East, the Dakota Sioux, provoked in part out of exasperation over non-existent meat allotments, killed hundreds of settlers in Minnesota. 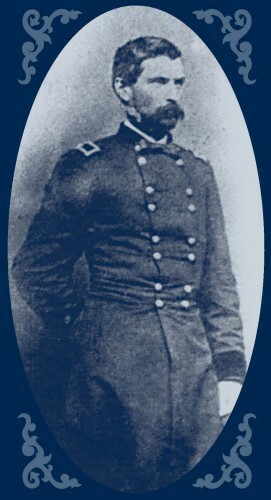 Following the mass hanging in Mankato, the relocation of thousands of innocent Dakota Sioux, the punitive military campaigns of 1862-1863, the establishment of numerous garrisons across the region, and the migration after 1865 of thousands of veterans encouraged by the Homestead Act of 1862, the Plains faced a future that could not have been imagined just a few years before. Although only a few battles were ever fought west of the Mississippi River, the Civil War changed the Great Plains. 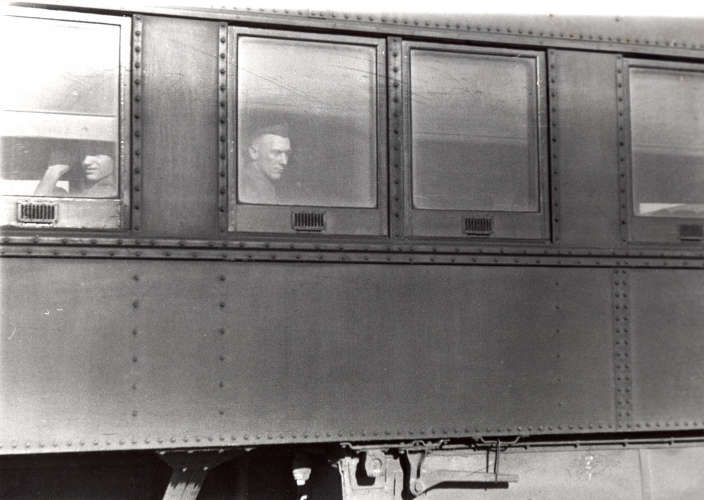 Returning to the multi-year theme of transportation, the 42nd annual Dakota Conference examined paths, trails, roads and highways that crisscross the Northern Plains and their impact on the lives of indigenous and immigrant peoples of this expansive land. 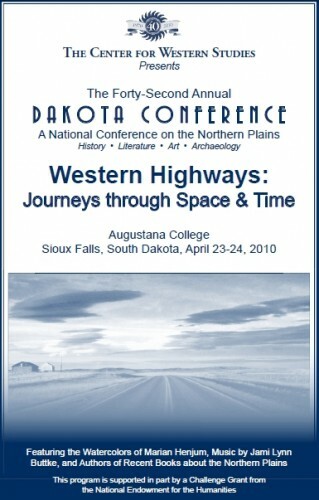 Previous conferences on the theme of transportation considered railroads (2007) and rivers (2008). For 2010, presenters also discussed various forms of ground transportation, from moccasins to motorcycles, and also spiritual and metaphorical road journeys. Presentations at the 2010 Dakota Conference discussed Nobles Road, the Oregon Trail, the Pony Express, the Lincoln Highway, the Meridian Road, and the interstate highway system, among various other topics. 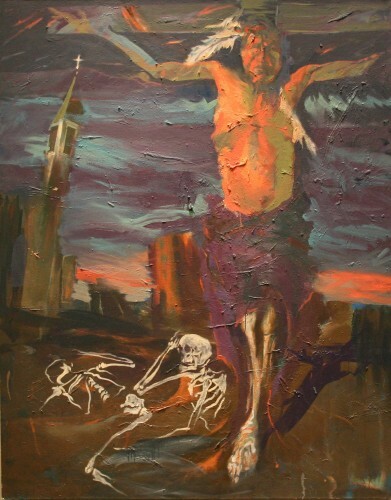 Titled "Abraham Lincoln Looks West," the 2009 conference considered the impact of President Lincoln in bringing fundamental change to the Northern Plains by appointing two Dakota Territory governors; encouraging settlement through the passage of the Homestead Act of 1862; pardoning (and executing) Dakota Sioux following the Dakota Conflict of 1862; and authorizing the transcontinental railroad in 1864. Each of these developments resulted in controversy and repercussions that affect both indigenous peoples and immigrant descendents to this day. Ten sessions focused on Abraham Lincoln, amidst other presentations on a variety of regional topics, during the two-day event. The Dakota Conference received two important recognitions prior to the 2009 event. 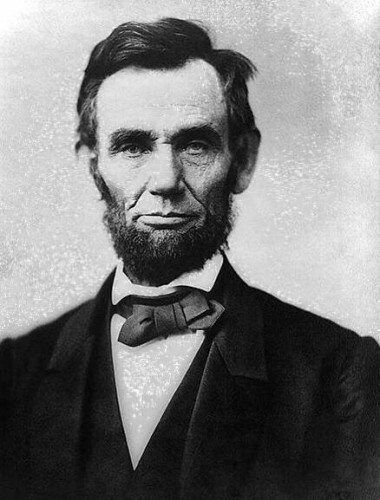 The first was the endorsement of the Abraham Lincoln Bicentennial Commission in Washington, D.C. The second was the specific reference to the conference's tradition of encouraging both academic and lay scholars by the National Endowment for the Humanities in its awarding of a $300,000 Challenge Grant to the Center for Western Studies.